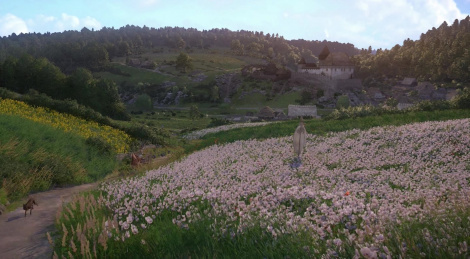 Just like Homefront: The Revolution when it shipped, Kingdom Come: Deliverance struggles to run smoothly in 1080p in all circumstances even when using a powerful rig such as ours. 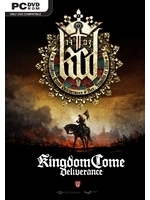 Obviously, CryEngine is to blame, proving once again that it's a complicated engine to work with, but since Deep Silver's title radically improved after a few patches, let's hope Warhorse Studios will manage to optimize their game. Serious bugs also need to be taken care of, and we also think some odd game design choices should be modified to make the experience less frustrating (lockpicking is a nightmare with a gamepad and the save system is uselessly constraining). Until all this is fixed, here are a few more PC videos of the game to get another quick taste of the excellent atmosphere of the game. This game has an interesting premise, but just as I feared, it's a technical mess. I imagine it would cause more frustration than pleasure because of that. How exactly does the save system works? All I know you need a special drink to save anywhere but the game also save automatically after some quests. I think it also saves when you sleep. It's supposed to save when you sleep yes, but yesterday it wasn't working for me so I had to use the drink (also, durung the 2 hour long prologue, you can't sleep whenever you want). The problem is that the game rarely autosaves, even when you're on a mission (it should at each important step imho). Yesterday, i was forced to use the schnaps because I would have lost an hour of gameplay by quitting the game. There should at least be a save and quit option. The devs have said they've heard the complaints about the save system and the lockpicking issues though, so that should be addressed in a future patch. It's the bed the main character stayed in for 2 weeks to recover from his wounds. Not sure it's considered as his home, but that's where he was taken care of at the end of the prologue and you can sleep there so I figured it was supposed to save the game. Hopefully in this case they can optimize without having to downgrade. I ve tried homefront on xbox one x and it was still gorgeous though. It ran pretty well too. If I'm not mistaken "And so it begins" video is a prerendered cutscene, hence why it stays locked at 60fps. Sure, that's what I think too, but I still think it's a pretty cool sequence to show. That being said, framerate especially suffers in bigger towns, when you're in the countryside, it's pretty steady. Damn good looking environment art and lighting. Looks nearly photo real. Only thing is, the world, while it looks incredible, also looks lifeless without wildlife or insects, etc. Is there any of that in the game? There is wildlife, birds, rabbits, deers, cows, dogs, stuff like that but from what I've seen, not tons of animals. Real life nature during daytime can actually be quite boring .Apart from domesticated animals you may see birds and incects flying around but you hardly ever see any wild animals because they usually hear humans from far away and hide before they are in our sight .But many people have no idea how real forests are because they only know them from fantasy rpgs which are filled with wolves , bears and other imaginary creatures .Woods start to be way more active during nightime . And don't forget, the devs who worked on Homefront had problems WITH the help of the engine creators Crytek. This game never stood a chance of being optimised properly since its reveal 4 years ago. I know, I live in a forest. Just makes for a more interesting experience. Good to hear that stuff's in there tho, somewhere.